Dr. Elina Shrayman prescribes glasses, sunglasses, and contact lenses of all types as well as certain low vision aides. She examines eyes in order to diagnose eye diseases like glaucoma, cataracts and retinal disorders; systemic diseases like hypertension and diabetes; and vision conditions like nearsightedness, farsightedness, astigmatism and presbyopia. 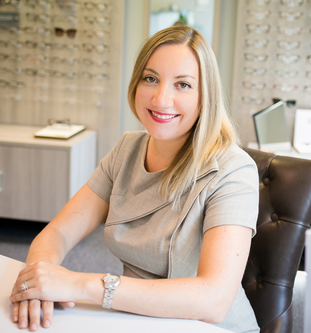 Dr. Shrayman completed her undergraduate degree at SUNY Stony Brook and her Optometric degree at SUNY College of Optometry. She is a primary care Optometrist, with a particular interest in pediatric optometry and contact lenses. Dr. Shrayman is a member of the American Optometric Association, the New Jersey Society of Optometric Physicians, and the New York State Optometric Association.